A unique blend of Spanish, Moorish, Indonesian, Chinese, American, and a bit of Southern California. 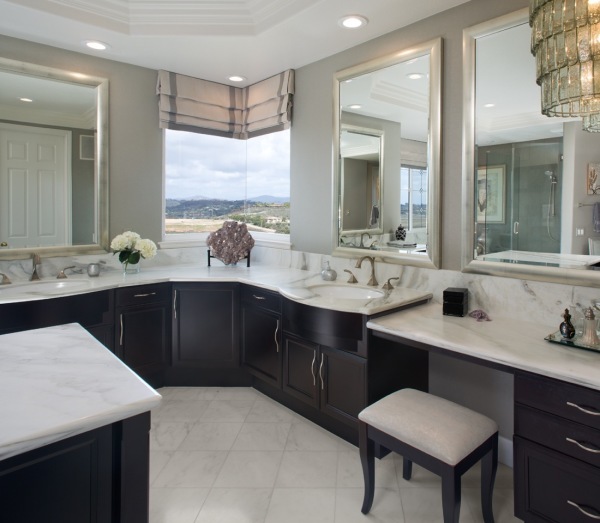 This powder/guest bath in Point Loma won Bath of Year and was published in San Diego Home & Garden Magazine. 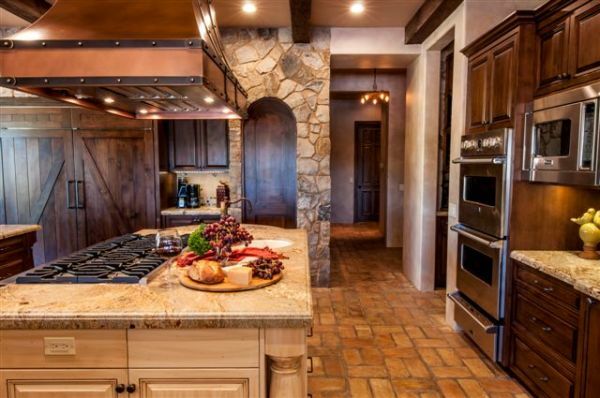 This stately kitchen remodel boasts a natural stone wall and an LMID custom designed copper hood over a 48" range. 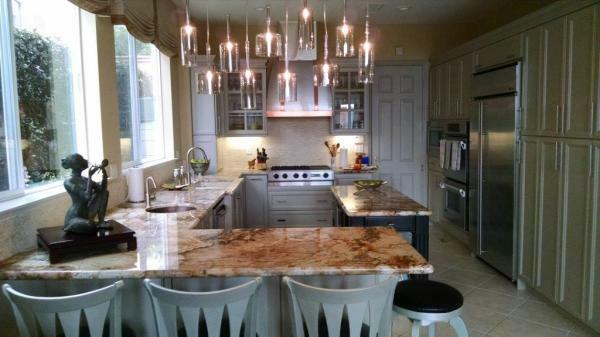 This kitchen received the Remodeling Magazine Award 2015 for Best Remodel. 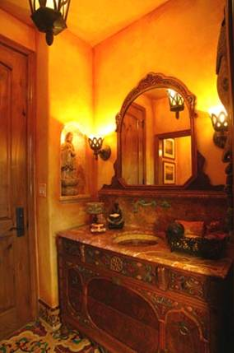 Soft neutrals and a custom vanity provided just the right updates in "his" bathroom. 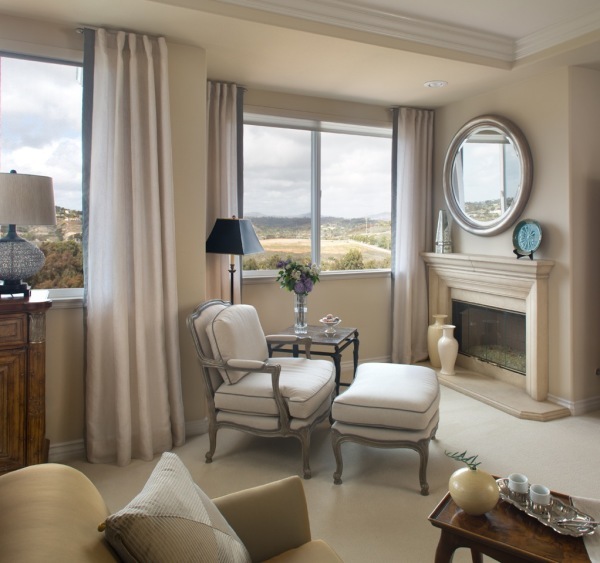 A serene sitting area within a Del Mar master suite emits tranquility and sophistication with its muted color palette and varied textures. 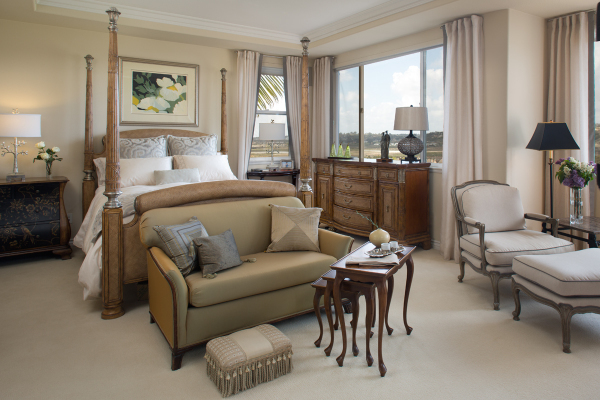 Existing furniture with its great lines along with new window treatments and bedding created a fresh new look for this master bedroom. This master bath features several dreamy amenities: new cabinetry that includes a grand island, heated floor tile, and an LMID custom designed lighting fixture made in Puerto Vallarta. 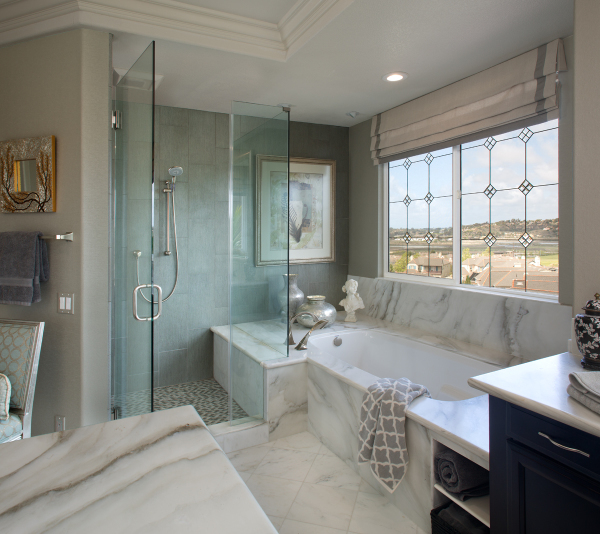 Luxury continues to the other end of the master suite with a spacious shower and soaking tub. 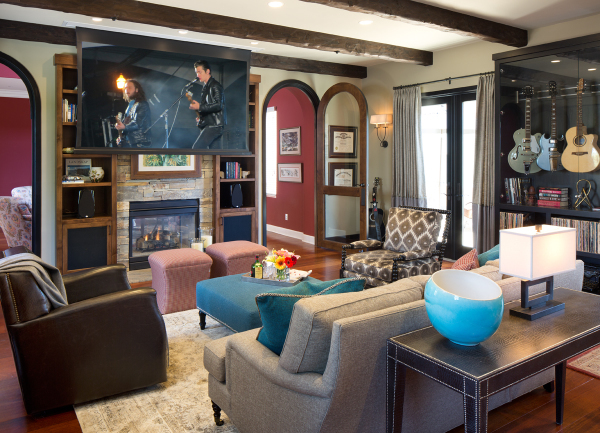 A new stone fireplace with 7 foot TV that drops from the ceiling along with cozy seating makes this room a favorite place to be. 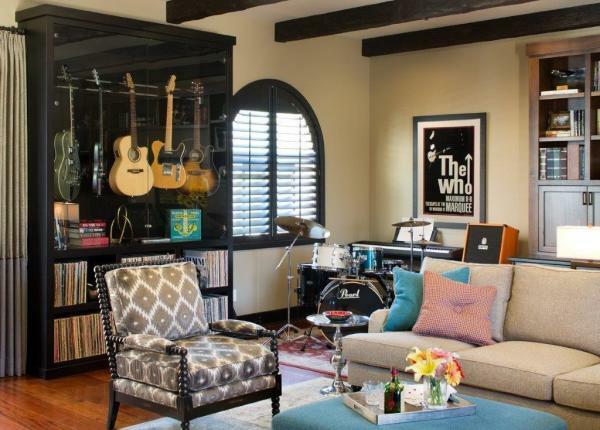 This room was designed for a musical family in mind: a custom guitar case along with painted black and stained wood combination built-ins with shelving and desks. 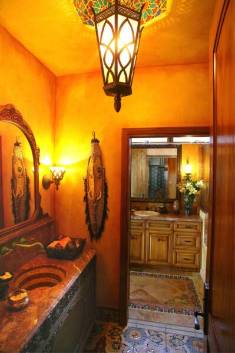 A modernized California ranch home shows off textures and an earthtone color scheme. 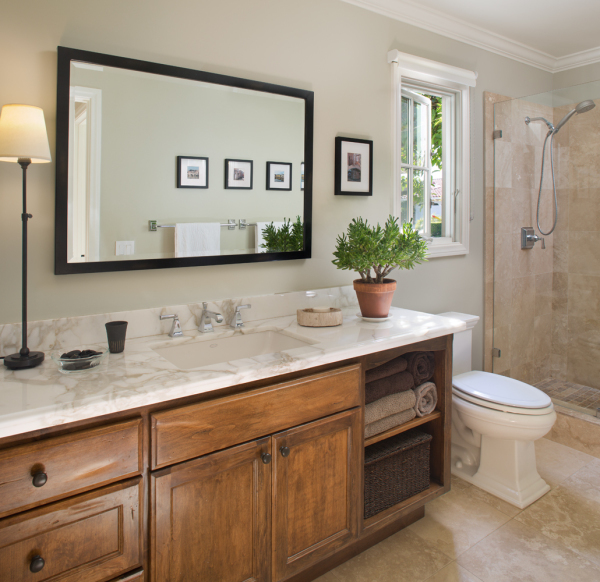 Borrowing space from an existing patio, this master bathroom was an addition to the owner's Solana Beach home. 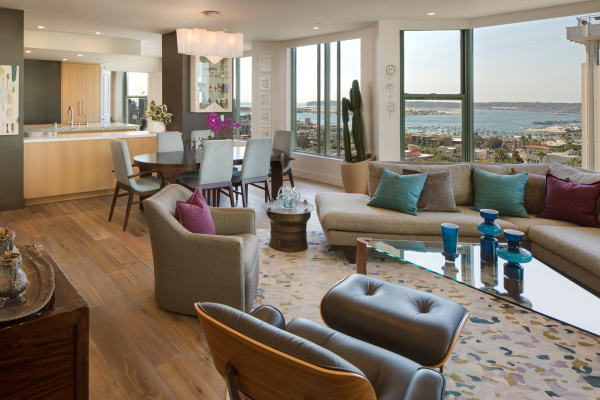 This remodel was featured in San Diego Home & Garden magazine. 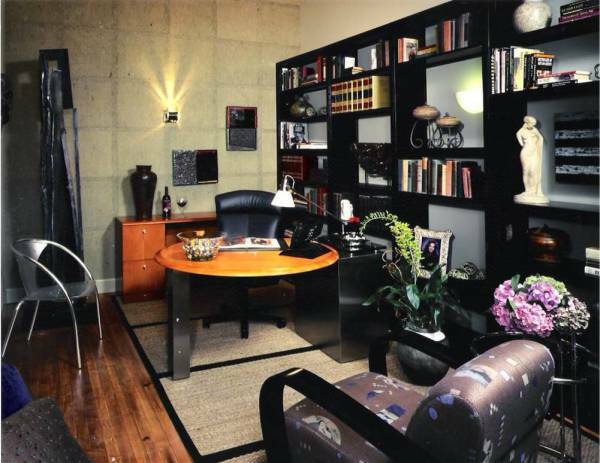 Designed to maximize storage in a smaller room with very high ceilings, this loft office in the historic Carnation Building was featured in former Decor and Style Magazine and published in the book Big Ideas For Small Spaces by Christine Brun. This modern farmhouse kitchen is framed by reclaimed wood beams, a custom hood, cabinets, shelving and lighting. 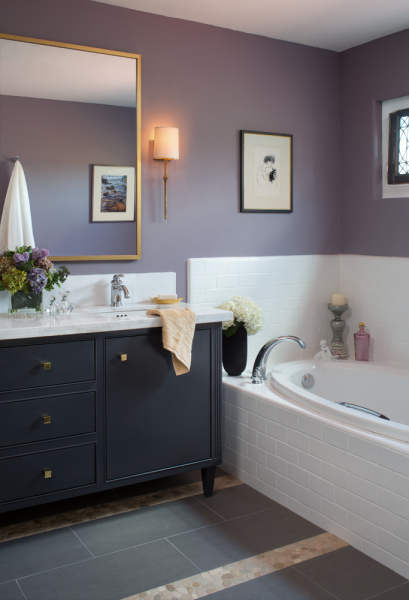 Lilac walls add exciting drama to this romantic bath. 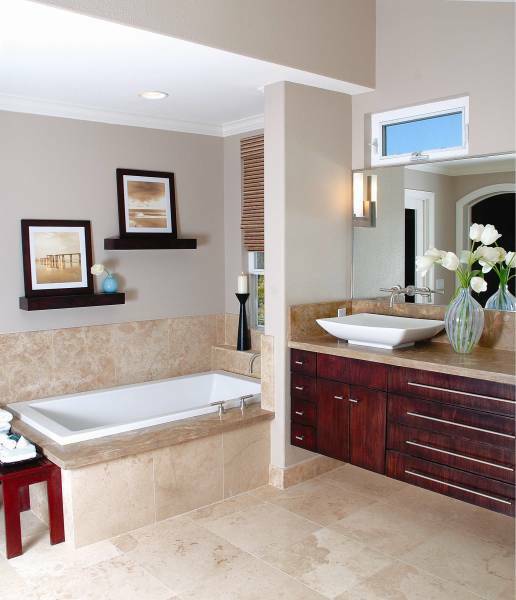 River rock inset into the grey floor tile add a nature-inspired contrast. 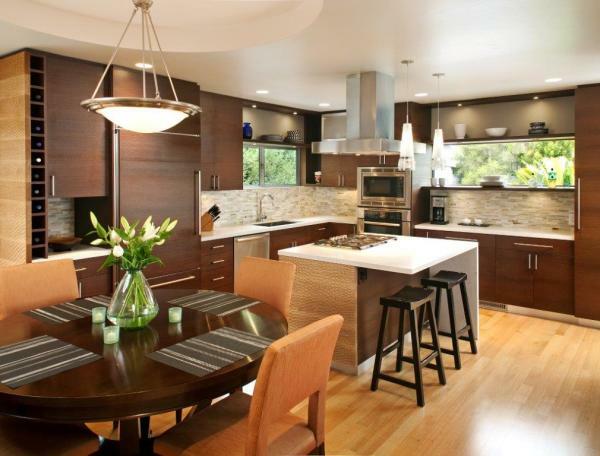 Complete remodel using Wenge wood cabinets and a waterfall island counter top with white oak floors. 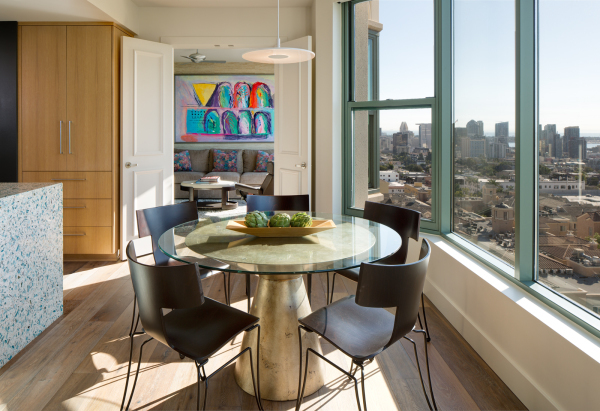 End panels on the wine tower and island feature hand-carved solid white oak and new windows flood the space in natural light and Point Loma views. This kitchen was given a fresh update with new dove gray cabinet finish and textured stone back splash. Modern lighting was added to highlight the peninsula. 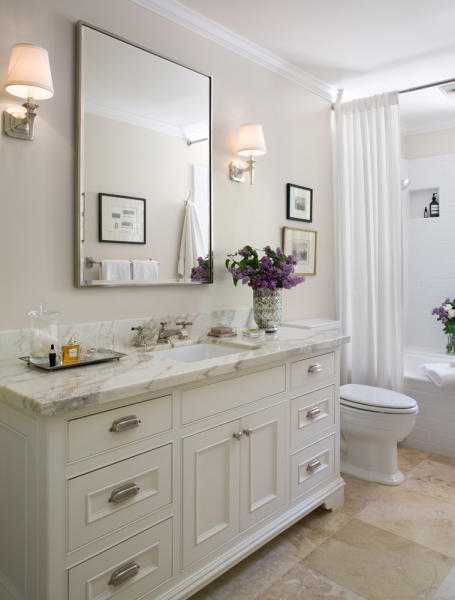 A light bright and airy bath features timeless white cabinetry and marble counter tops.